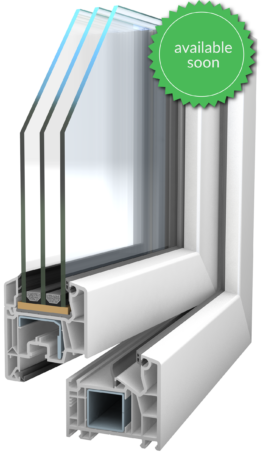 The new generation of VEKA Class A profiles, SOFTLINE 76MD, provides both the safety and quality already proven by VEKA systems as well as a modern and attractive design. The system allows the installation of a 48 mm glazing thickness, even large glazing surfaces being possible. *Possibility of colouring in nearly 50 shades or wood imitations, decorative elements and aluminium cladding as well as customization through VEKA SPECTRAL technology.